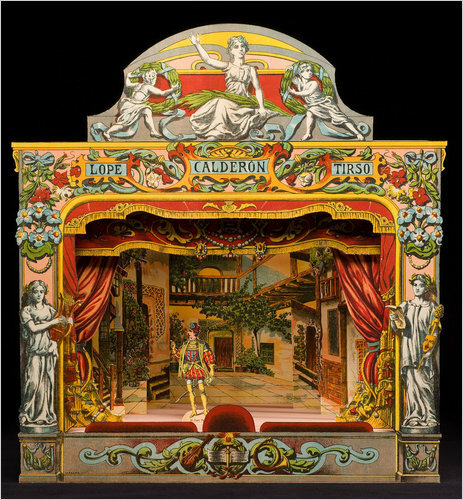 Today I continue my series on Toy Theaters and Paper Theater images by exploring some of the vintage images that were produced in Barcelona, Spain by Paluzie. Spain is near and dear to my heart and I have extensive family ties there. I was thrilled to discover some beautiful toy theater images from the land of my birth and I hope you enjoy them as much as I do. 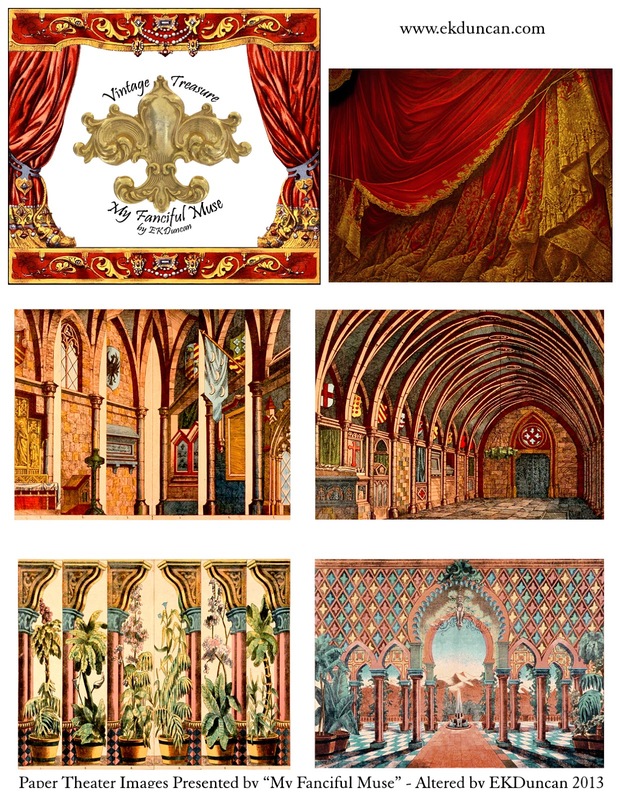 I begin by showcasing this whimsical stage curtain in Spain's National colors of Red and Gold with a few "extras" thrown in and then toward the bottom of the post I wanted to show some interesting comparisons between Paluzie images from Spain and Imagerie Pellerin, d'Epinal images from France. 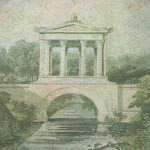 I hope you enjoy a digital journey to Spain with these vintage treasures. I've done a bit of digital re-orchestration to create this particular Stage and curtain in one. The original image was intended to be a curtain without a base but I thought it would make a nice stand alone stage and created a coordinating base for it. well here is a "process" sheet showing you the stages of assembly and creation. The original sheet appears to be an "extras" set showing the parts of the curtain and some props. 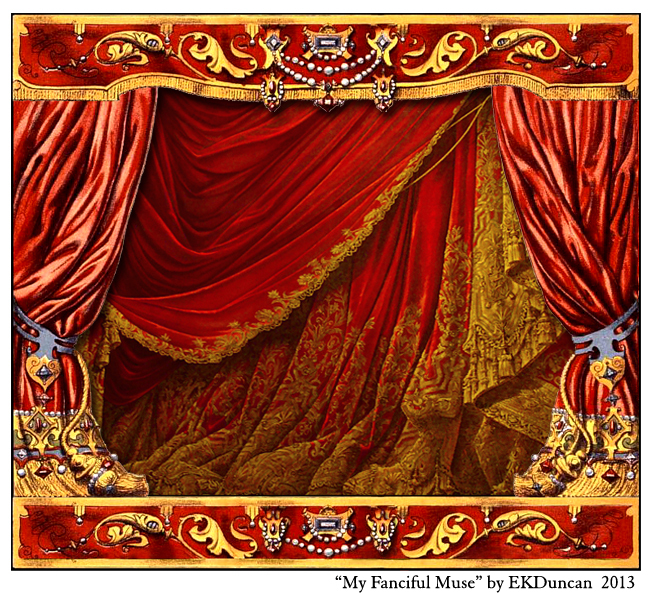 I believe the original intent of the curtain is as an extra "inner" curtain to be used within another Theater or "Proscenium" rather than as a stand alone item. and have it as originally intended. where this item was used as a secondary inner curtain. which I'll bring to you in the next post. Since I wanted the curtain to play a major role rather than extra window dressing I created a fun "print and play" sheet with the stage, background curtain and two different Paluzie sets. illusion and depth within a toy theater, just as they would be used on a real stage. on how you choose to construct your set. (These my give you a better visual on how to use the wings in a toy theater). 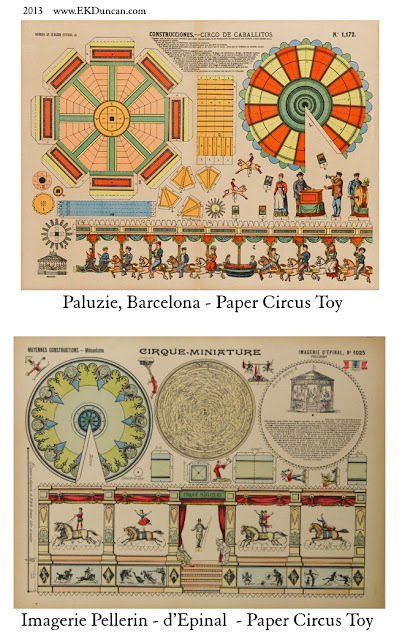 Paluzie was a well known printer in Spain and was producing paper toy sheets around the same time as Pellerin aka d'Epinal was in France (especially from the c1865-1920's time period). 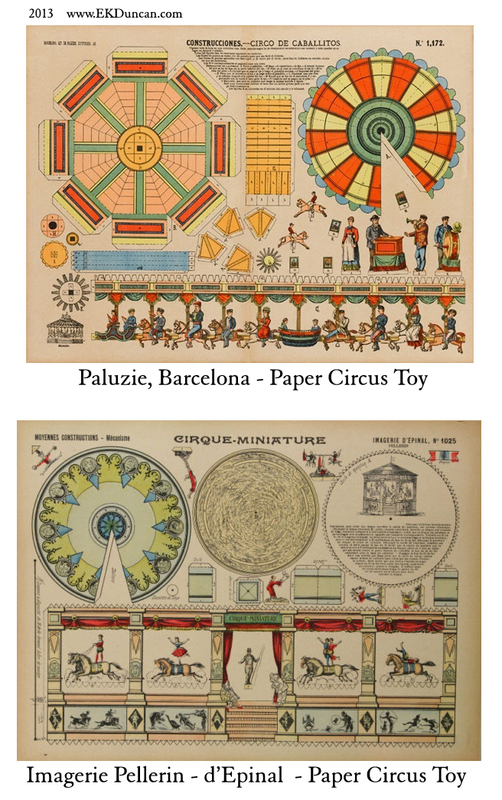 Those who follow my blog know I did a series of posts on d'Epinal images at the end of 2012 and in January 2013 I did a 2 part post showing a d'Epinal toy Theater; so I found it quite interesting as to how similar the styles of Paluzie was to Pellerin's d'Epinal sheets. I wanted to show some of my findings in this regard. 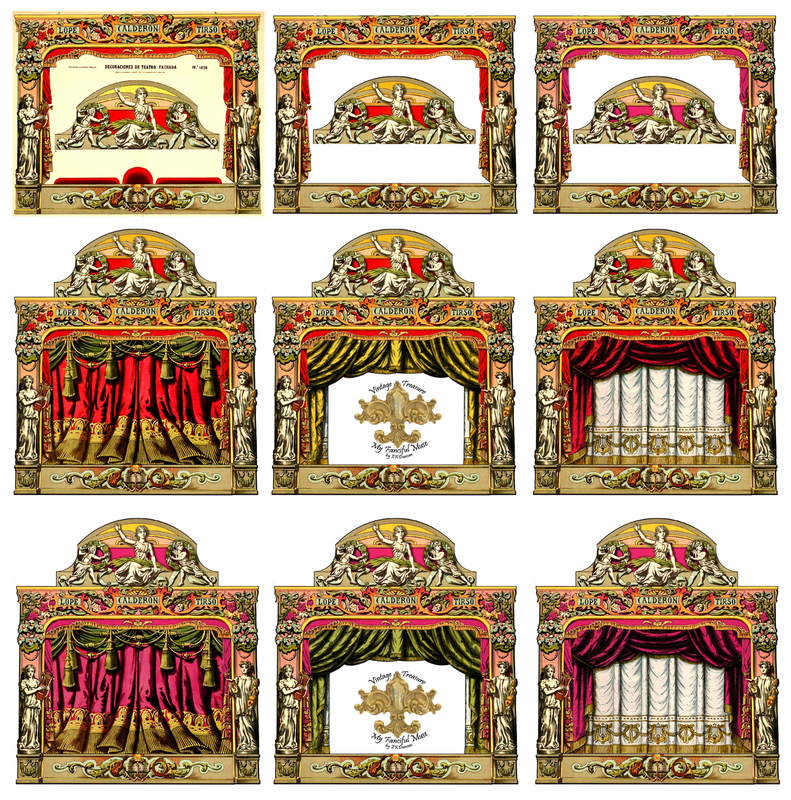 Considering the d'Epinal firm had a larger selling market, I have to wonder if many of the Paluzie sheets were inspired by what they saw in d'Epinal or other well known Paper Theater makers of the day. Don't get me wrong. 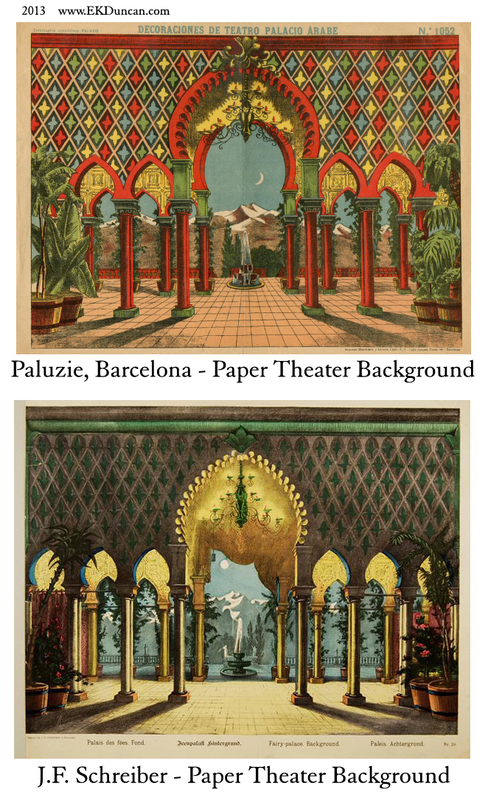 Many of the Paluzie sheets and theaters are original to them and beautiful in their own right; I just find it interesting that there are some similarities between them and other prints, especially the French d'Epinal sheets. Here are a few comparison examples I found interesting. This first example shows a series of 4 mini theaters with stage, background and wings. but I was able to recreate the look of it from images I have of the various parts. You can see an uncut sheet of them HERE at www.teatritos.com along with other Paluzie items. a wide variety of paper toy sheets as seen in the next two examples. 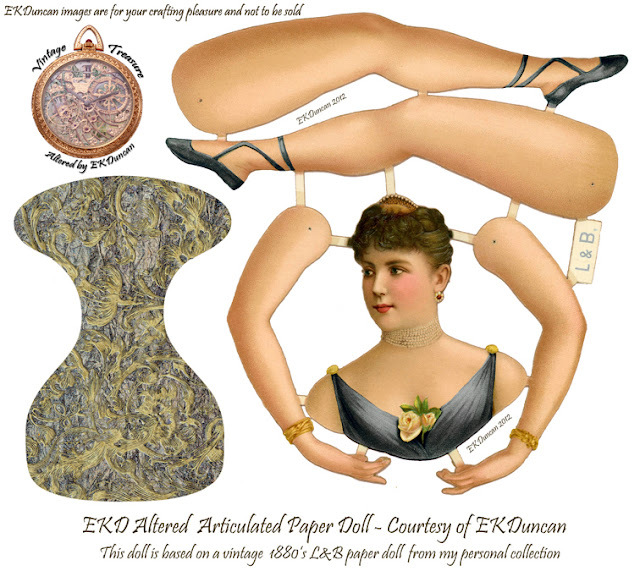 One for a circus toy that moves and the other for jumping jack paper dolls. they are a much harder to locate collectible than the d'Epinal sheets from France. Looks like I'll have to call in some favors with my cousins in Spain to try and find me some. - grins. 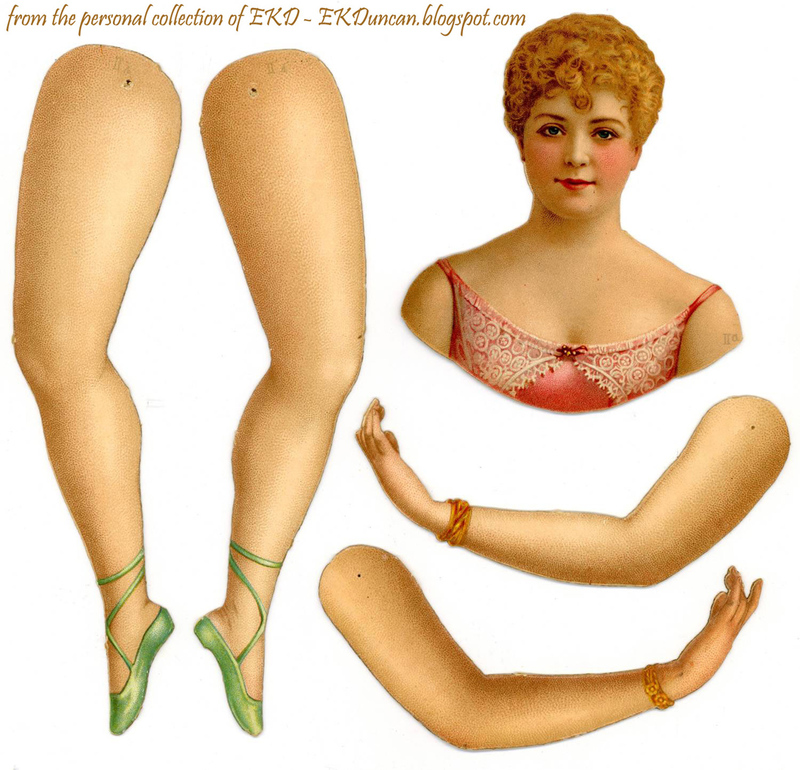 which by the way is a great resource of downloadable vintage items. 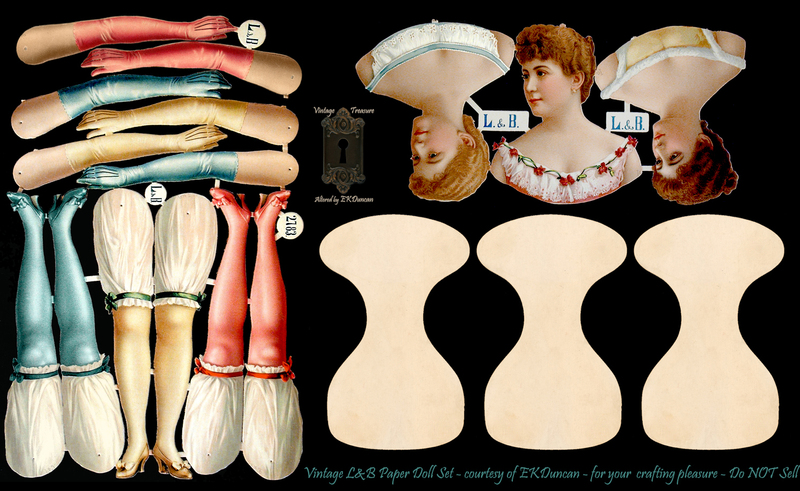 Jumping Jack (Pantin) paper dolls were popular from the late 1700's through the early 1900's so it's not uncommon that many companies made these types of paper sheets. 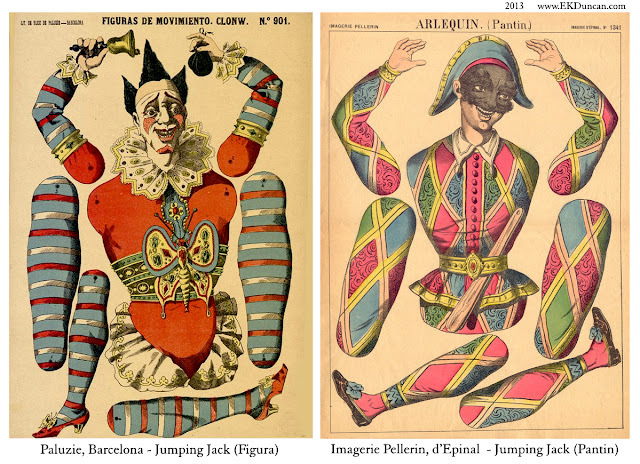 I've seen more than a dozen different Pantins by d'Epinal (harlequins, clowns, dancers, pirates, Asian, Turkish and a variety of others). I have a 5 post series showing may of them starting HERE if you want some nice downloadable versions to play with. 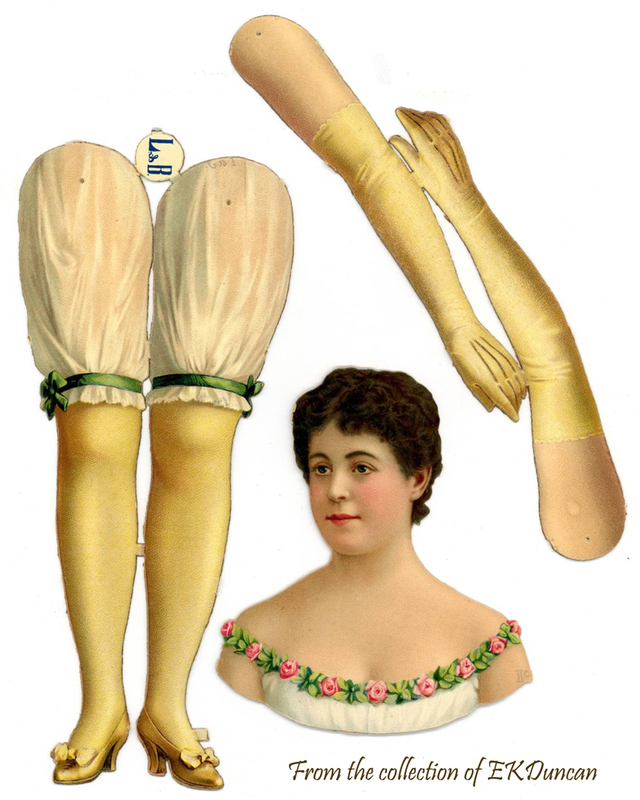 I'm sure Paluzie must have made more than just the one jointed paper doll but this is the only one I've seen so far. Here again, I think it's an issue of the Paluzie sheets being harder to acquire or gain access to reference versions of their images. at how similar the two Toy Theater background images were. The very colorful top background was by Paluzie and the elegant one on the bottom by Schreiber. J.F. 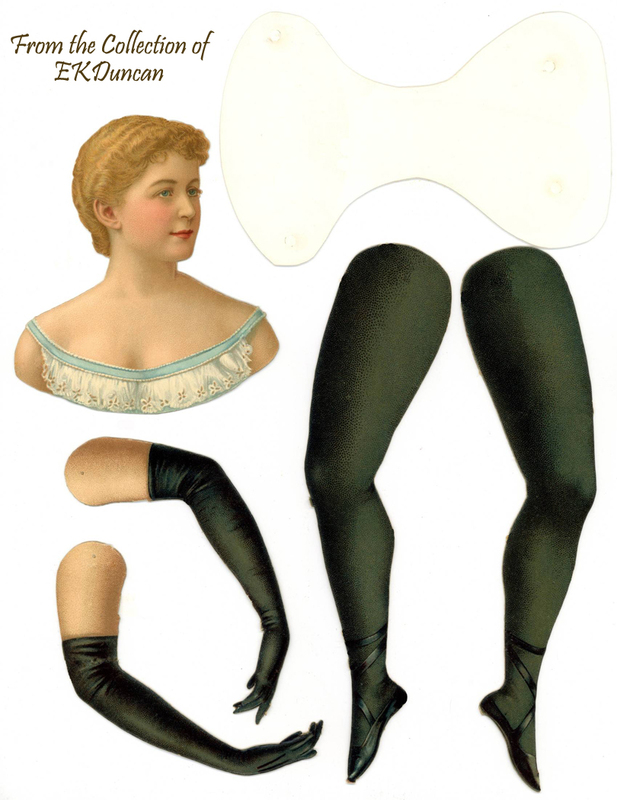 Schreiber of Germany was one of the top publishers of Toy Theater sheets and they produced exceptionally well made sheets during their day; so I found it quite interesting how similar the Paluzie was to the Schreiber. I've noticed this in the past with other toy theater sheets and going forward I'm going to start keeping track because I find it fascinating and it may make for another interesting post later on down the line. 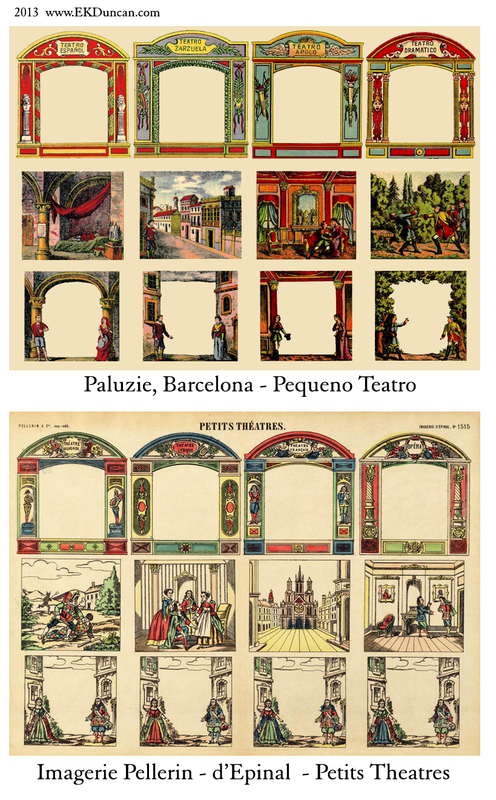 I hope you found today's post on Paluzie, Barcelona paper sheets from Spain interesting. Next we'll have a bit of fun with Paluzie's Theater Nº 1028. Yet again, another beautiful post! I have been reading these posts with an avid interest, as I want to create a circus themed centrepiece at my new nephew's naming day. Not 100% certain on what I want to recreate yet, but this is great inspiration. Hey Claire and thanks for the kind words. I love these vintage toy theaters... can't you tell - grins. I'm so glad they are inspiring you also and I can see how this one would work towards a circus theme. Thanks again for letting me know you are enjoying the posts and good luck on your project. Wouaouh! 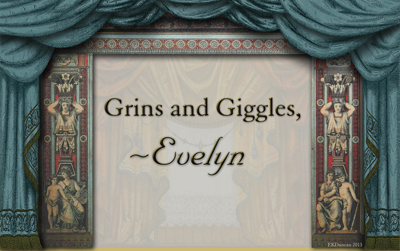 This is fantastic dear Evelyn! What a collection of treasures! Thank you so very much sweet heart! Hello Dear Sim - Thanks so much. I thought this made a great little theater even though that was not the original intent of the piece. It has that Medieval - King Arthur - Fairy Tale look to it. I have several more vintage theaters to post, so I hope you enjoy them just as much - grins. It's been a while since I popped in on your blog. I had a good time seeing what you've been up to for the past several months and had to let you know how much I enjoyed the last two "bird lady" pieces you created. They are so much fun to look at and it's always a pleasure to see what you've been creating. You are a very talented lady too. Wonderful post,as always. The wealth of information is always impressive as is the care you put into presentation. If blogs were desserts your would be something very rich and complex, velvety and full of dark chocolate. Hey Susan - Oh how very sweet of you!!! 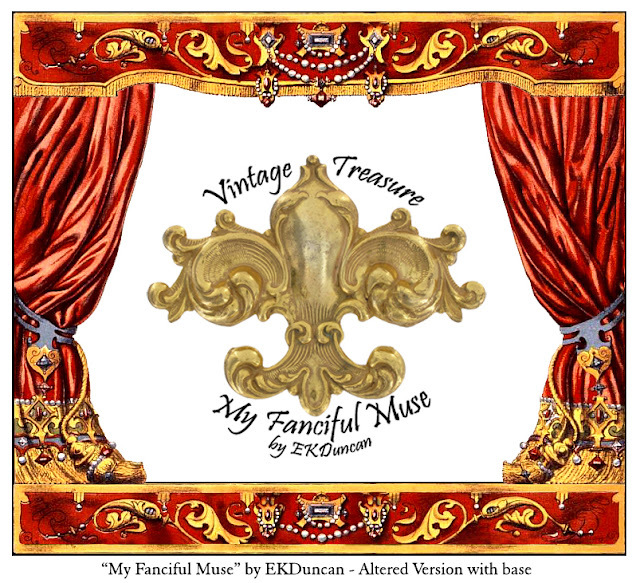 I love pretty images, but as much as I love the vintage treasures I post about; I enjoy learning what I can about them too. Thanks so much for letting me know you are enjoying the "story" behind them as much as I do. 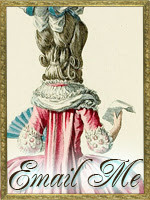 Your response is greatly appreciated and I hope you continue join me on future post. It's my first time to your blog, and I must say, I adore the vintage theaters you have highlighted here. There is something so very fascinating about paper theaters. And I like the old-fashioned way to spell theatre..or the European way! Thank you for all of the theater links too! 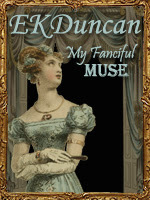 Hi Teresa - I'm so glad you dropped in to see what My Fanciful Muse is currently up to. 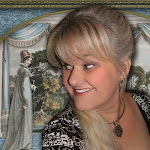 She had a very whimsical soul herself and is happy to hear you have found the toy theater images of interest. I love toy theaters and am so glad to be spending a good portion of 2013 exploring and playing with them on my blog. I have more to come soon so I hope you continue to join me on this journey. Thanks too for taking the time to let me know you like what you've seen and feel free to drop me a note whenever a post strikes your fancy. I look forward in browsing your blog in the near future. Many details to look at. The Paluzie Toy Theater is amazing!!! Hi Sylvie - This sheet was a real find for me. I loved this curtain/theater so much I did another post of it in multiple color choices.